©Perryolf via Flickr Blog This. 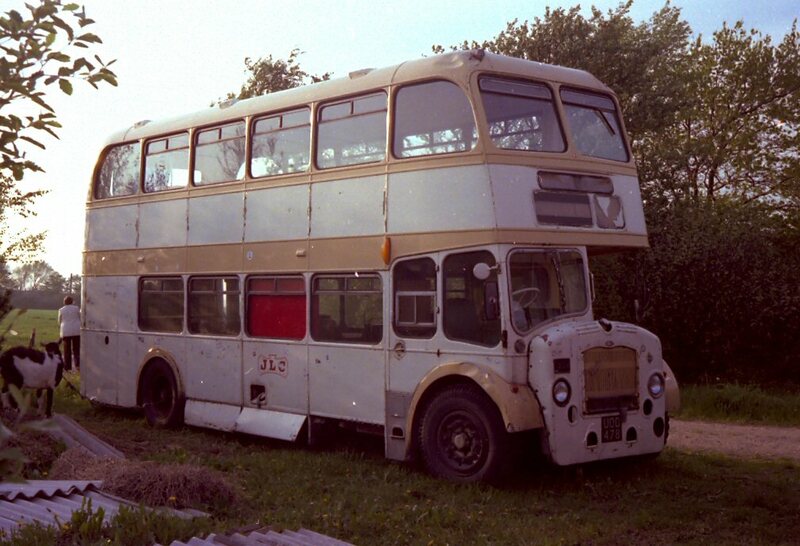 "This British double decker bus was seen at a scrapyard near Aarhus in Denmark in the early 1980's." Helpfully Richie B has added some extra info: This bus is a Bristol "Lodekka". It was manufactured in Bristol, England in May 1956 by Bristol Commercial Vehicles Ltd. and fitted with that company's own power unit, as opposed to one of Leyland or Gardner origin. It's registration mark is UOD478 and it was one of 29 delivered to the Western National Omnibus Company in that year, receiving fleet number 1924. It has 60 seat rear-entrance bodywork by Eastern Coachworks of Lowestoft. Perryolf has some fascinating photos on his Flickr account of older trucks in Denmark. Worth a visit!